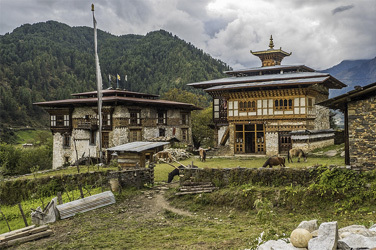 East Rodungla trekking is a ultimate journey across the top of eastern Bhutan follows what used to be an important trade route before completion of the national highway. The trek is tough, and involves a tremendously long, steep descent. Few groups take up the challenge which this long and demanding journey presents. The flight into Paro brings breathtaking views of the Himalayan Mountains. If the weather permits you will be able to see Mountain Everest (8848 meters) and other Himalayan mountains. The landing, flying through the Paro valley between the 4000 meters high mountains, starts your day in an unforgettable way! Our representative welcome you in Bhutan and drive you through the beautiful valley of Paro to the hotel you will be staying. This beautiful valley is home to many Bhutan's oldest monasteries and temples. The country's only airport is in Paro. The valley is also home to Mountain Chomolhari (7,300 meters) situated at the northern end of the valley whose glacier water forms the Pachu flowing through the valley. Afternoon you will visit Ta Dzong (watch tower) it served as a watch tower during the 17th century to guard the region from the Tibetan invasion. It was converted to the National Museum in 1968. It houses a fine collection of Bhutanese art, relics, religious thankas, Kichu Lhakhang (Monastery) it is one of the two most sacred and the oldest temples in Bhutan. It was built in 7th century by Tibetan King Songtsen Gampo, Rimpung Dzong (fortress of the heap of jewels) it was built during the time of Zhabdrung (deeply revered to this day as dynamic political and spiritual leader) in 1644. 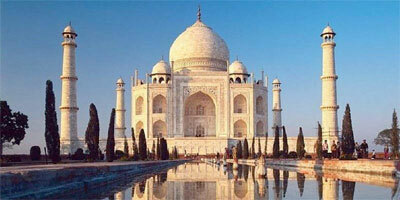 It houses both administrative and monastic bodies. Overnight Paro Hotel. Morning hike to Taktsang monastery. Horses can be arranged with an extra payment. The hike which is all the way uphill takes about 2 /3 hours through villages and pine forests. The monastery which clings to a huge granite cliff 900 meters from the Paro valley was devastated by fire in 1998 but the Royal Government has taken immediate steps to restore the monastery to its original structure. It is believed that the great saint Padmasambhava came in the 7th century on a flying tigress and meditated in a cave for 3 months. 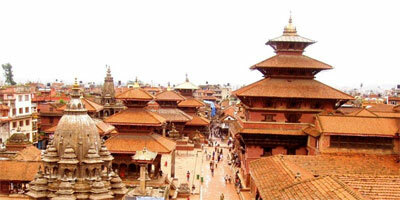 It is a pilgrimage site for every Bhutanese to visit once in their life time. Afternoon visit the ruined fortress of Drugyel dzong which still attract visitors due to the strategic location of the fort, the fort defended the Paro valley from the Tibetan invasion from the north in the early 17th century. On clear weather Mountain Chomolhari 7320 meters can be seen towering over the dzong. Proceed through the beautiful valley to the watch tower or locally known as Ta-Dzong. The third King Jigme Dorji Wangchuck housed it into the National museum in the 1960s. 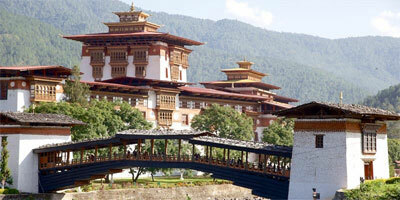 The seven floor museum highlights various aspects of Bhutanese culture and history dating back to the 7th century. A short walk downhill to the Rinpung Dzong which serves as the administrative center and school for monks, and walk further down crossing the traditional bridge into Paro Town. Overnight Paro Hotel. Early breakfast 1:30 hours drive to Thimphu. In Thimphu visit the Memorial chorten built in the memory of the late King Jigme Dorji Wangchuck, 15 century Changangkha monastery, Motithang mini zoo to see the rare "Takin" national animal of Bhutan and drive further down with good view of the Thimphu valley. Visit the new Drupthob nunnery temple and free time in the market. Overnight Thimphu Hotel. Drive to Bumthang takes 2 to 3 hours. Tales of great Guru Padmasambhava dominates this holy valley. From the view point you can see the Jakar Dzong "The Castle of White Bird". Lunch at the hotel. After lunch Drive up to Lame Gompa a place built by the 1st King for his two nun Sisters. An old style of making Bhutanese Paper can be seen outside of this place. Overnight Bumthang Hotel. The route takes you through the agricultural fields till the camp site. 5 to 6 hours walk. Morning visit Nganlhakhang then climb gradually to Phephela pass altitude 3170 meter. The trail takes you through the beautiful forest area till you reach the camp site. 6 to 7 hours walk. The trail winds up and down till the village at Drula. Visit the 7th century Khaine lhakhang en-route, later we reach to camp. 7 to 8 hours walk. 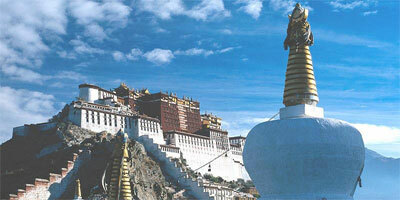 Proceed to Lhuntshi and visit the dzong. After lunch leisure time. Overnight camp. The trail takes you through the valleys till Kuri Zam. Continue climb up through the paddy fields and villages. Overnight camp. 4 to 5 hours walk. Continue up to Dongla where you will have the fascinating mountain views. Descent through thick evergreen forests till you reach camp site. 6 to 7 hours walk. The longest trek, gradually go downhill till Yangtshi through the chirpine and hardwood forests till camp site. 9 to 10 hours walk. Drive to Tashigang and visit the Tashigang Dzong. Overnight Tashigang Hotel. Drive to Samdrup Jonkhar, en-route visit the weaving center at Khaling, Womrong Lhakhang and the fascinating views of the mountains. Overnight at hotel in Samdrup jonkhar.